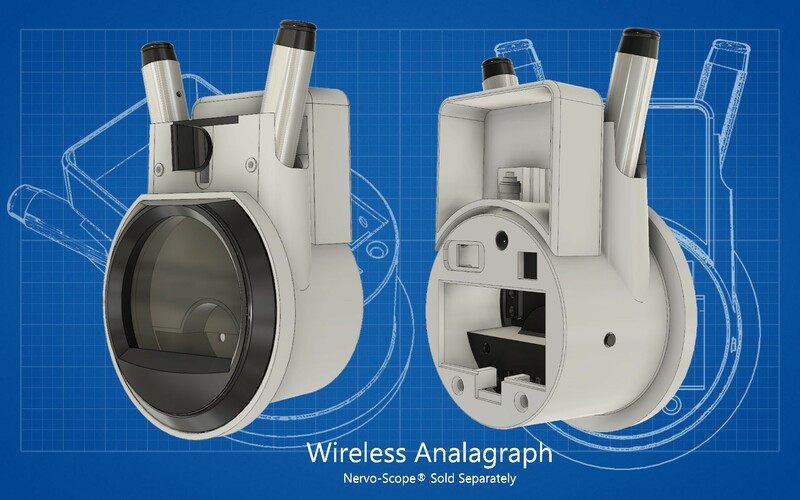 RESERVE YOUR WIRELESS ANALAGRAPH® TODAY. After years of listening to feedback from Chiropractors around the world on what they want in this device, coupled with extensive research & development - we are proud to announce the official release of the Wireless Analagraph®. And as a token of our appreciation to both existing customers and new product supporters, we are extending the special savings on the first production run...For a limited time, order your new Wireless Analagraph® and save $1,000.00 off retail price (Retail price: $4,841.00). 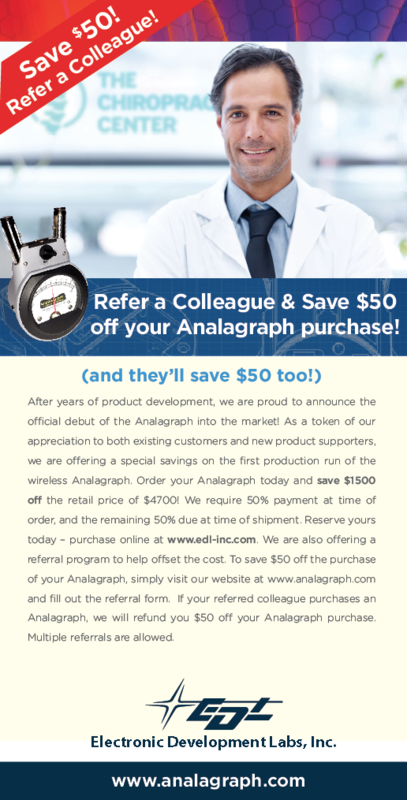 Order your Analagraph® today, and save. In order to qualify for the discounted price - the 50% deposit ($1,920.50) is due now and the remaining 50% is due at the time of shipment. If you prefer to pay the total due, please contact sales@edl-inc.com to facilitate the order. For questions or additional information contact us at 1.800.342.5335 or sales@edl-inc.com.